Are we fighting to save our way of life, or the planet we live on? Hurricane (and post-tropical cyclone) Sandy left lives, communities, and ecosystems scarred from the Caribbean up through the Ohio Valley. People are measuring damage in lives lost, boardwalks destroyed, subway stations flooded, and homes without electricity. The storm is front and center for those warning about the dangers of human-induced climate change -- weather patterns have become more extreme and unpredictable as the planet warms, leading to frequent "100 year" events -- storms like Hurricane Sandy, the "derecho" wave of thunderstorms that knocked out power to thousands earlier this summer, the unusual rainfall in parts of the southwest, and prolonged "drought" in the Midwest. Extreme is the new normal. First Solar is moving forward with the environmental review process for the Silver State South project, and is requesting permission to destroy enough desert wildlands to accomodate a 350 megawatt (MW) facility, according to the draft report published by the Bureau of Land Management (BLM). But the company only has a buyer for 250MW, and it only has permission from energy regulators to ship 230MW over the transmission lines. This is significant because the company is proposing to build the project on a very narrow strip of desert habitat that serves as a critical genetic linkage for the desert tortoise, and First Solar appears to be inflating how much of the valuable desert land it actually needs. 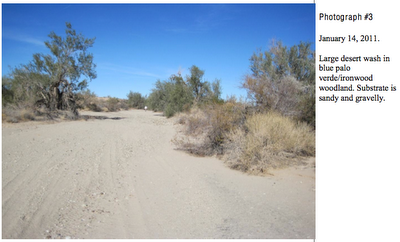 This is a location in the desert where every acre counts, but the company appears to be ignoring pleas by the US Fish and Wildlife Service and other desert experts to preserve this wildlife corridor. ReWire's Chris Clarke wrote on the winners of a video contest called "Sunlight. Camera. Action." hosted by Environment California, and the winners' videos are awesome. The point of the contest was to tap the community's creative talent to promote the potential for rooftop solar in Los Angeles. There are already thousands of rooftop solar installations in Los Angeles, but as these videos show, there is potential (and enthusiasm!) for so much more. The Sierra Club, Defenders of Wildlife, and NRDC have expressed concerns about BrightSource Energy's choice of project sites on desert habitat, recommending that the California Public Utilities Commission (CPUC) reject power purchase agreements (PPA) between BrightSource and Southern California Edison (SCE), according to letters filed with CPUC. The CPUC was already looking into concerns that BrightSource's projects would sell electricity to the utility company at highly uncompetitive prices when compared to other renewable energy options. BrightSource Energy, which is responsible for displacing or killing hundreds of desert tortoises for its Ivanpah Solar project in the northeastern Mojave Desert, may have trouble financing and building two of its projects if CPUC rejects the PPAs. Race to the Bottom, or to the Roof? In tonight's Presidential debates, both candidates competed to be the person most willing to open public lands to energy companies. While there is undoubtedly a difference between the candidates on clean energy, neither seems to truly value our wildlands. What if one of the audience members could ask how the candidates would address the urgent problem of climate change while protecting the iconic landscapes that we love? Imagine if the candidates were eager to portray themselves as supportive of covering rooftops with solar panels, instead of handing public lands over to big corporations. We need tax breaks and incentives for individuals to improve energy efficiency and put their rooftops to work, instead of more handouts to the 1%. I just read an article online about the destruction of remote rainforests in Sumatra to meet our demand for palm oil, an ingredient in many foods, soaps and cosmetics, according to Rainforest Action Network. The rainforests being destroyed for palm oil are home to rare orangutans, but that is just one of the most charismatic of thousands of species that are being displaced. I have never seen an orangutan in the wild (and I have never been to Sumatra), but it's deeply troubling to think that such a wild and beautiful place is being destroyed to feed mindless consumption. But then again, we destroy mountains in West Virginia for coal, and deserts for solar. We can rationalize or tolerate so much destruction until we are faced with the consequences. And since our consumption draws on resources so far away, it is too easy to ignore the true costs. The Bureau of Land Management (BLM) this month issued a supplemental draft environmental impact statement supporting First Solar's proposed Silver State South solar facility, which would be built on a narrow strip of desert that has also been recognized as a critical desert tortoise connectivity corridor. 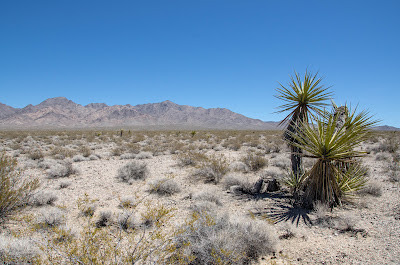 BLM intends to approve a modified layout of the solar project that would destroy up to 4.8 square miles of mostly intact desert wildlands between the small gambling outpost of Primm, Nevada and the Lucy Gray Mountains. The project layout preferred by the BLM appears to ignore a recommendations by the US Fish and Wildlife (USFWS), and Washington is rushing to approve the project before further wildlife connectivity studies are completed. As expected, Secretary of Interior Ken Salazar signed the record of decision, officially implementing the Obama administration's Solar Energy Development Program. For the most part, the policy codifies the status quo -- handing energy corporations wide access to public wildlands. The initial intent of the policy proposal was to limit the destructive solar energy projects to specific zones, but after intense lobbying by the energy industry, the Obama administration included the option for companies to propose projects on nearly 30,000 square miles of "variance" lands outside of approximately 445 square miles of the solar energy zones. This wide access to wildlands is the cause of so much concern among conservationists, since energy companies have sought to build on critical desert habitat, instead of already-disturbed lands. 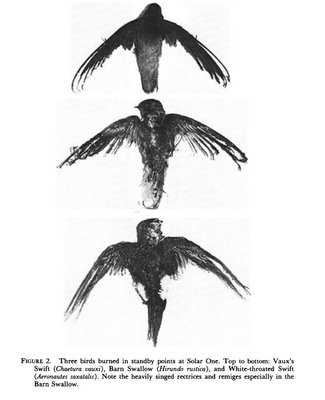 The American Bird Conservancy (ABC), Western Watersheds, and Biological Conservation Alliance issued a statement calling out the Department of Interior for greenwashing its authorization of the Chokecherry/Sierra Madre wind project, an industrial energy facility that could prove to be very deadly to golden eagles, and other birds and bats. I wrote earlier about Interior's celebration that its authorization of the project pushed it past its goal of authorizing 10,000 megawatts of renewable energy on public wildlands, a rather grim statistic. It is heartening to find groups working to defend our landscapes and wildlife from unnecessary destruction. We absolutely need renewable energy to displace toxic fossil fuels, but we do not need to sacrifice some of our most special wild. There are more sustainable alternatives to such callous corporate destruction of nature. BrightSource Energy's negative impact on the desert tortoise population in the northeastern Mojave Desert continues to be felt, as tortoises removed from their burrows to make way for bulldozers or other construction equipment continue to go missing or die. As of August, three tortoises translocated from BrightSource holding pens, and four others recently handled by BrightSource crews have been killed -- at least six of them by coyotes. The translocated tortoises probably were more vulnerable to predators and other environmental factors after being displaced from their habitat to make way for BrightSource's Ivanpah Solar project. In May the company reported to the California Energy Commission that six tortoises held in BrightSource's pens went missing, while several tortoises died last year after being attacked by ants in the pens. The Department of Interior reached its goal of approving 10,000 megawatts of renewable energy projects on public lands this week. As people across the globe look for places to install solar panels in their cities or on already-disturbed lands, Washington DC has decided that it will stick to the tired tradition of feeding our energy addiction by destroying beautiful landscapes. 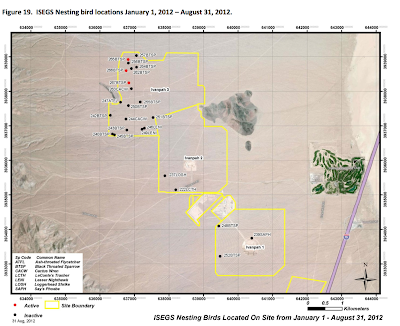 The Bureau of Land Management finalized its Recreation Area Management Plan for the Imperial Sand Dunes (a.k.a. Algodones Dunes) last month, stripping nearly 40 square miles of fragile dune ecosystem of its area of critical environmental concern status and prioritizing motorized recreation over ecosystem sustainability. The decision is expected to imperil vast swaths of microphyll woodland and psammophytic scrub habitat, which host many rare plant and insect species, including many that are only found in the Algodones Dunes. Before BLM modified its management of the Imperial Sand Dunes Recreation Area, off-highway vehicle (OHV) riders had unrestricted access to 137 square miles of the dunes, and limited access to 81 square miles, for a total recreation area almost 7 times larger than Manhattan. 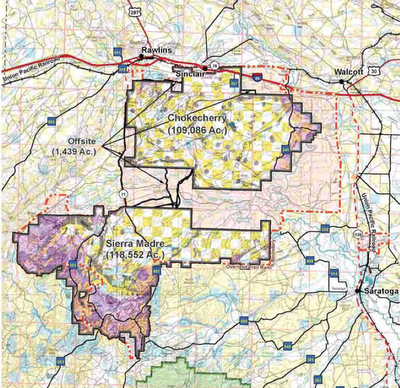 The new plan will expand the unrestricted OHV area to 199 square miles, and cut the protected habitat from 117 square miles to 54.